Using PST files to back up Office 365 – why is it a bad idea? Personal Storage Table files (PST) were introduced to the Microsoft world back in times of Exchange 4.0, as Outlook exclusive, storage files. They were meant to store individuals’ non-enterprise data coming from IMAP and POP3 mailboxes. Soon enough that became a quick fix to stacked up corporate Exchange Servers allowing users to store excess mailbox data to their local drives. What seemed like a brilliant solution, soon proved itself to be quite the opposite. In this article, I’ll show you why it is a bad idea to use PST files as a backup for your Office 365 data. Any type of an over network management of PST files is an unsupported, highly not recommended, and time-consuming process, often resulting in corrupted files. Its administration over LAN or WAN is very heavy on servers causing network overheads and even server crashes. Learn more about it from the Microsoft Knowledge Base. Having multiple operations like this proceed simultaneously also significantly slows you’re your computer operations down. There is no possibility to automatically synchronize these files between devices in Microsoft Outlook. And saving them to the Cloud results in nothing more but an overfilled cache. Regardless of what you have convinced yourself of, backing up your company data to PST files is pricey. Single items grow exponentially during their local disk lives and storing them all to the network storage later sums up. Additionally, all operations held upon these files have to be performed individually on each one, wasting your admins’ working hours to perform repetitive, unnecessary tasks. PSTs can be utilized by every Outlook client manually. Left-behind scattered all over the network, then have to be gathered individually to a central repository. There’s no native tool providing us with centralized access to the files’ administration, meaning there is no central management or backup plan. Additionally, you will not be able to preview their content without Outlook installed. From the users’ perspective, PST files can get frustrating. There’s no possibility to access them from multiple clients at the same time and just trying your hand at it might get your files crushed. That leaves mailbox users with inconsistencies or another corrupted data files in the worst case. Managing a business, you are always exposed to legal complaints. Very often data from your corporate mailboxes becomes a critical factor during the evidence examination for an investigation. Research held on files extended to PST is extremely expensive and troublesome. Items are distributed all over your network and managed by users unbeknownst to the admins. Additionally, PSTs are archived outside of the Exchange Information Storage restraining eDiscovery. In this case, the process has to be carried out upon every single file import individually. Not to mention how easy it is for the users to eliminate it, intentionally or not. There’s very little possibility for data recovery, naturally. It takes a lot of determination to have PST files backed up. Retention policies or an incremental backup do not come as an option here as well. If you wish to comprise and save your ginormous files, you’ll have to find time and people to take care of that continuously and manually. Coupled with their corruption vulnerability, it is inevitable that you’ll lose some of your data, at least. Damaged files also slip through to the servers easily. This means, that the moment you need them the most is most likely the time you will learn that they don’t exist anymore. PST files are extremely prone to leaks. Stored on users’ local devices first, they are protected likewise. They can be saved anywhere, from the regular drive to the pen drives or the cloud and in case of any damage of those so will get the storage files. Mailbox users have free access and full control over the complete file implementation. Perhaps now you’ll agree with me that data backup in the form of a PST file does not go far worse from not backing your data up at all. In this day and age, it is extremely important to have all your data saved, protected and at your fingertips. And to achieve all that you may need a third party solution like CodeTwo Backup for Office 365. 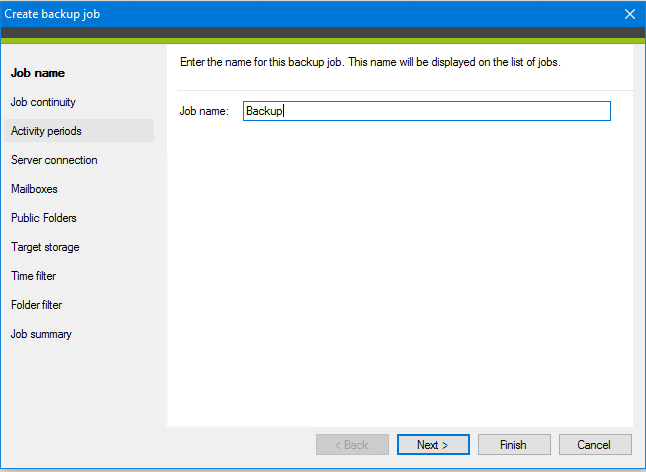 Backup jobs – you will be able to configure your backups into different jobs, depending on how you want them to proceed. The program will run them automatically in the background. 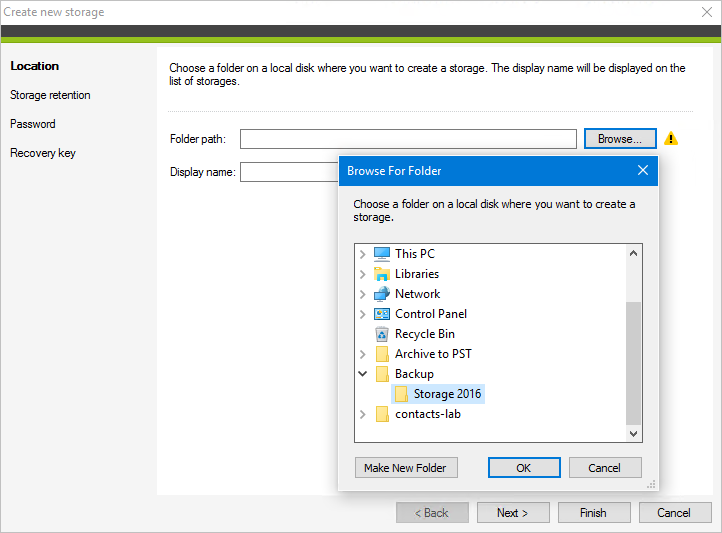 Differentiated storage options – you can choose to store your data offline on your hard drives, making sure they are safe and accessible to you at all time or/and keep some of them in Office 365. Central management solution to your backup – CodeTwo Backup for Office 365 allows you to manage all mailboxes and public folders backups from one place. You can configure the conditions and the software will perform a backup of selected items for you. Also, the program enables you to browse and restore any data saved locally without a need to log into users’ accounts. Item versioning – meaning that all items backed up are stored in different versions and each backup cycle includes a search for the file modifications that are instantly automatically updated on your backup storage. Retention policies – Allows you to regularly and automatically eliminate overdue and unnecessary data from your repositories. 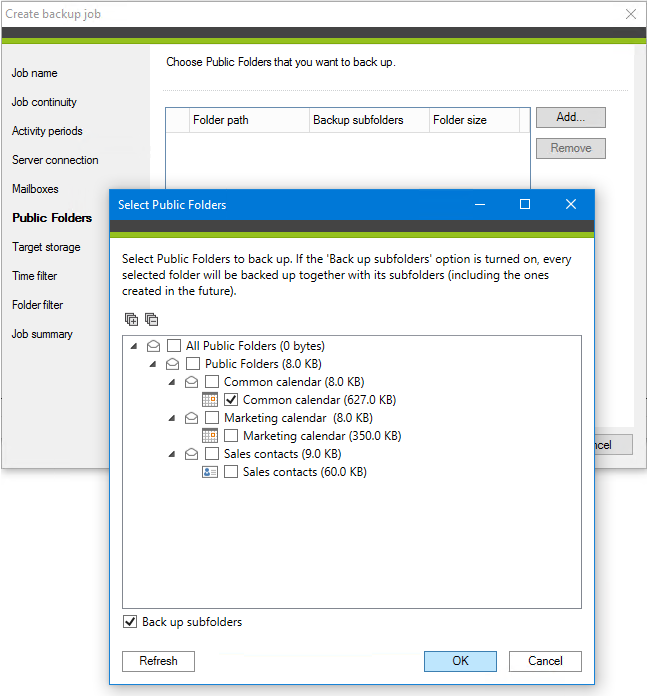 Backup of your corporate public folders – The CodeTwo Backup for Office 365 allows you to store your public folders together with subfolders to a local drive. Safety – protecting you from malicious activities, the software enables a reverse of corruptions and deletions intelligently restoring healthy items. Legal compliance – CodeTwo Backup for Office 365 will make it possible and easy for you to meet all legal and internal requirements for electronic records retention. A no-impact process – Meaning that the processes will be undetectable to end-users, as mailboxes and the content included in them will be unaffected at any given moment of the process. And that’s just the beginning! To learn more about this solution, visit the product’s official website or test it directly in your environment by downloading and running this free trial version of CodeTwo Backup for Office 365. If you have any questions about the program or want to share your opinion feel welcome to contact us! We are open 24/5 from Monday to Friday. Need a backup of Exchange mailboxes? Check out CodeTwo Backup for Exchange.